After teasing the MyPhone A919 Duo a.k.a Micromax Superfone Canvas 2 A110 from Indian telecommunications company Micromax last Sunday. One of our readers just informed us that MyPhone has another dual SIM android smartphone with 3G, waiting to be launched this holiday season called the MyPhone A848i Duo Android 3G Phone or i-mobile i-STYLE Q3 from Thai telecom company i-mobile! The 4-inch MyPhone A848i Duo comes with a 1GHz dual-core processor, 512MB RAM, 4GB ROM, 5MP autofocus camera with LED flash, 1,600mAh battery and runs Android 4.0 ICS as its operating system. More about the MyPhone A848i Duo specs and features after the jump. What is the difference between the MyPhone A848 Duo and the MyPhone A848i Duo? Both phones have the same specs and looks (actually you cannot distinguish which phone is the A848 or A848i), but the MyPhone A848i Duo comes with 1GHz dual-core MediaTek MT6577 processor and 3G connectivity support. While the MyPhone A848 Duo doesn't have 3G connectivity and comes with 1GHz single-core MT6575 processor. For more info about the MyPhone A848 Duo (Full Specifications, Features and Updates), just go here. sir help naman po to set up the 3g connectivity for myphone a848i duo for sun sim carrier, di ko po talaga mai connect sa internet through 3g eh.. pls provide working settings for sun, thanks! eeeeee im waiting for a818 slim!!!! Pwd po ung GameBoid (Gameboy Advance), ung nds4droid not working. sir adrian pwede po ba dito ung ndsemulator for android(like nds4droid)??? sir, hindi di basta basta ang mga processor ng mediatek. isang respetadong brand din yan. mas worried pa nga ang qualcomm kay mediatek as a competitor kesa kay intel. and sometimes mediatek can make better processors at the same price range kesa sa offer ng qualcomm. case in point: MT6588 vs. MSM8625Q. Depende lang cguro sa unit or model ng android. Ung samsung young ko dati, naghahang, den i switch to cloudfone thrill 430x, and so satisfied nmn ako dun. I also have ipad mini, which is also gives me satisfaction. Yup, pwd po yan mdownload. nkakapag download ba dto ng kahit anung apps. like instagram,voxer, wechat and viber? and skype? Ung MediaTek MT6577 processor, 5-touch display, battery life, positive user feedback at after-sales support ng MP A848i. Sa ibang specs same lng po cla ng CM Flare. Wala po, try ko kunan ng pic ung back cover at post ko po dito. may mapa din ba ng pinas ung back cover ng a848i? 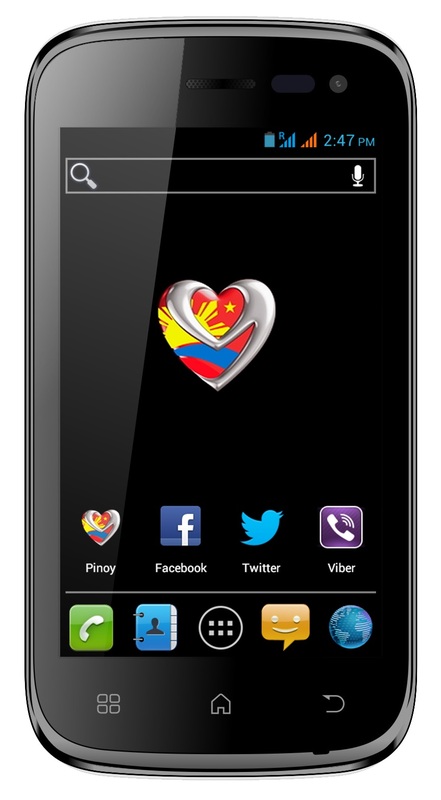 Meron na po back cover sa myphone kiosks at marami po ung design. pati sensors din po parehas lang sila yung OS lang talaga pinagkaiba pala.thank you Mr.Adrian. Ung OS lng po, Android 4.1.1 Jelly Bean ung A848g while ung A848i Android 4.0.4 ICS. MAGANDA PO BA UNG FRONT CAM?? PWEDE PANG SKYPE?? Sa flash po nd ko po alam, dahil mhina po ung flash ng mga local brand kasi. anu mas magandang flash sir ? pwede po bang gamitan yan ng bluetooth keyboard? Switch to iOS or iPhone. I have android device and it gave me nothing but problem. Try mu po mg hard reset by simultaneously holding the "power" and "volume buttons," then go to recovery mode "volume up" and go to "wipe data/factory reset" and press "menu button" to confirm. Please do a side-by-side comparison of this against Starmobile Crystal. Thanks! ano po mas maganda? ito or Starmobile goal? Pwd po ito sa skype at madilim ung front cam dahil VGA lng ung resolution.